At Astrofarm we like to keep things simple. No hidden extras or last-minute add-ons, no single supplements, no minimum night constraints, no peak and off-peak changes - we have a one cost per bed/room pricing policy. Whatever time of year you book for, or however close to the date you wish to travel, you will find the same great value. The only time we change the prices is when we offer extra special deals and packages to make your stay even better value! 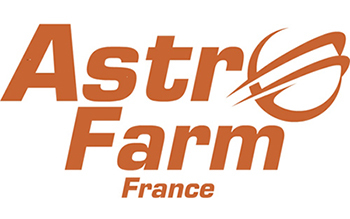 You have 2 choices of accommodation - bed and breakfast (B&B) on the main Astrofarm site or self-catering in the Astrogite. If you are self-catering you can also choose to join us for breakfast for €5 per person and/or evening meal for €15 per person - bookable by the day. And if that's not enough you can stay on site all day using the facilities! If you book more than 30 days before your arrival, you pay just 50% deposit. Your balance will be due 30 days before arrival. If you book within 30 days of arrival you will pay 100% of the total room booking. Should you need to cancel we will honour your deposit or full payment for a new date to suit you, availability dependant. We offer a variety of payment methods from direct online book and pay, Paypal invoice, direct bank transfer or cheque (yes we still use cheques here all the time in France)!